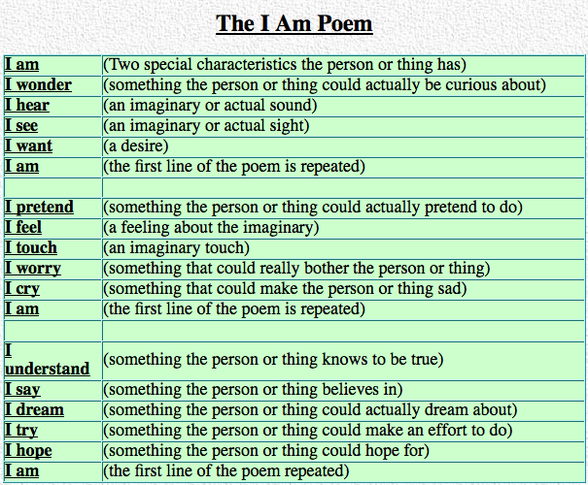 Once the poems are written, provide learners with a link to a shared Google Doc Presentation and instructions to use one of the presentation slides to compose their poem and include a photo from their Facebook accounts or one taken with their mobile that symbolizes the essence of their identify. 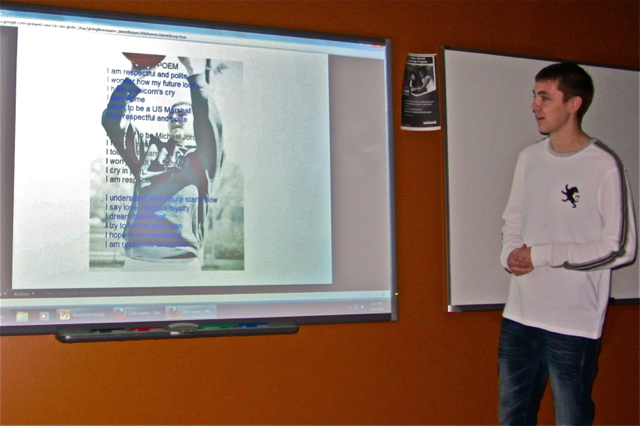 After all students complete this task, the presentation is projected via an interactive board. 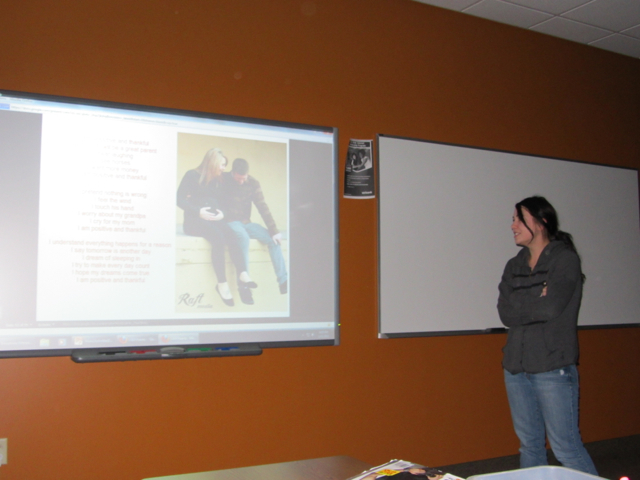 Ask learners, one at a time, read their poems to their classmates.